haomei aluminium is both a 7075 aluminium plate manufacturer and supplier with 18 years experience. So factory price is available. Besides, we use the finest raw material to improve the product quality, and we are certificated to CCS (China Classification Society) and DVN GL (Norske Veritas), guaranteeing the quality of our 7075 aluminium plate lives to national standards. 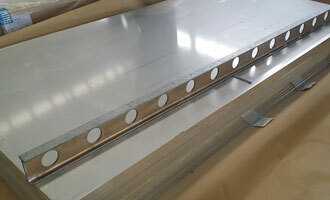 haomei aluminium can manufacture 7075 aluminium plate with many tempers, such as O、T6、T651、T7451O、T6、T651、T7451 etc., and it can be cut to size at customers’ need.